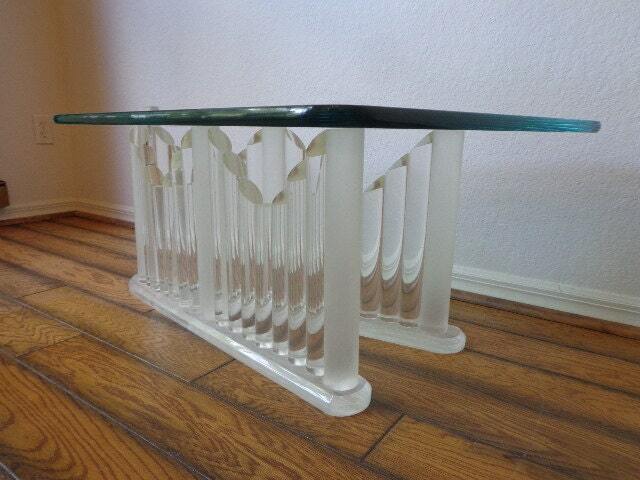 Vintage oval glass and Lucite table. 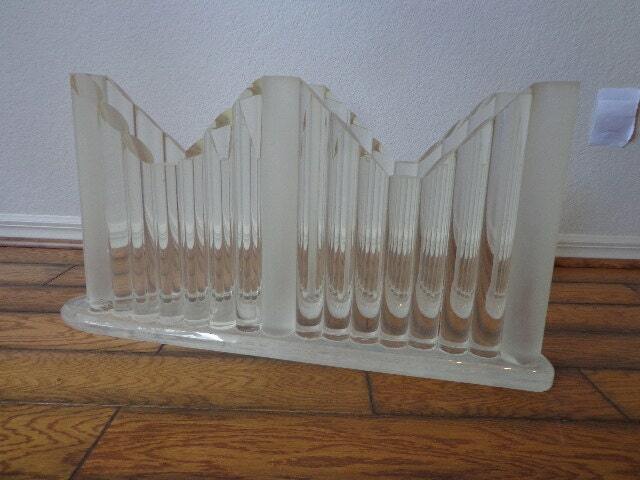 Features a glass top and a pillared lucite base of cylinders in a pan flute arrangement. 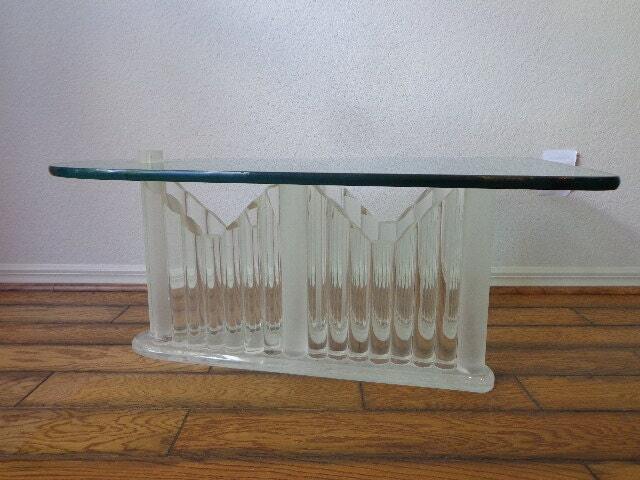 This epic coffee table is the perfect addition to any modern home or office. Overall good vintage condition. Shows surface wear that is commensurate with age and use. 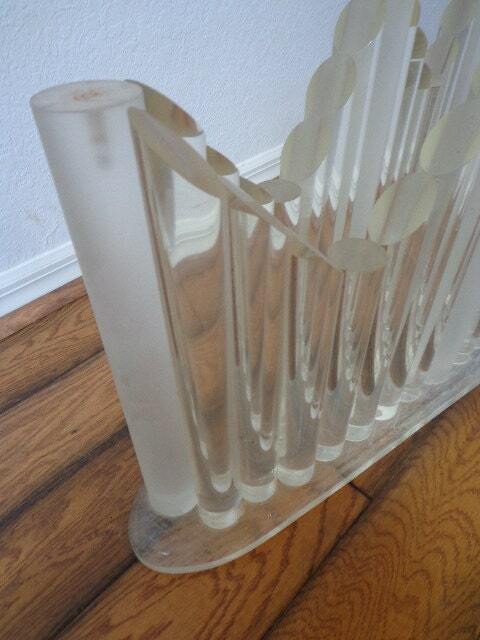 The base is heavy and fragile. The glass is thick and heavy. 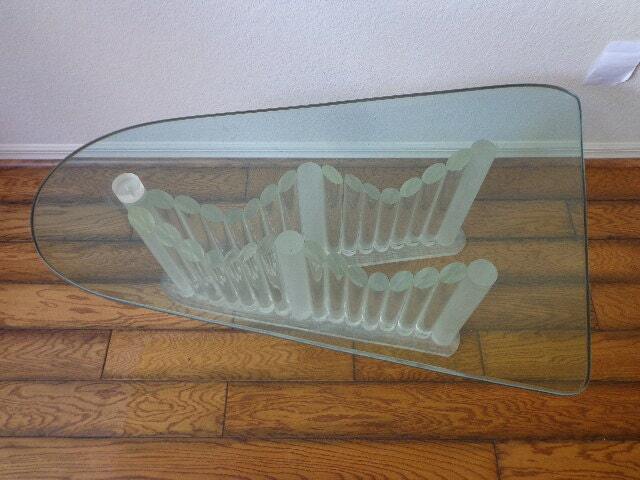 Dimensions: 30" x 14" x 15"
Glass: 40" x 25.5" x 1"